Were it not for a civil war, Yugo could have gone on to become a big success. 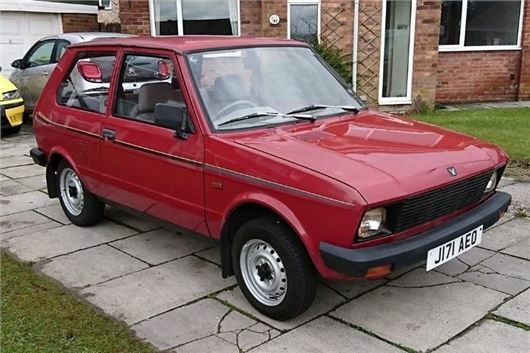 The former Yugolsalvian national car brand - known as Zastava in its home country - first entered the UK market in 1983 with the Fiat 128-based 311 and 511 models, but started to gain some decent market traction in Britain after the launch of the 45 55 and 65 models. Known as the Zastava Koral in the former Yugoslavian Republic, the new supermini was based on the platform and running gear of the Fiat 127, but packaged in a new three-door body that, while a little plain, was quite contemporary. Build quality was cheap and cheerful, but the Yugo was also ridiculously inexpensive, undercutting the likes of Lada, FSO and Skoda against which it competed in the budget market of the 1980s. For five years, it was the cheapest car on sale in the UK, and in fairness you could have done far worse for the money. If you could live with the egg-carton feel to the interior and the rather noisy, unrefined cabin, the little Yugo was both willing and quite entertaining to drive, while they were also surprisingly hardy little beasts, with better rust protection than most of their contemporaries. Of course, being cheap meant that Yugos were often considered disposable, and while they're still a common sight in Eastern Europe, where over half a million were sold, there are less than 30 left on Britain's roads. This example is a last-of-the-line 45a Tempo, introduced in 1991 as an absolute base model to sell alongside the new (and ultimately doomed) Yugo Sana. At £2,999 on-the-road, it was the UK's cheapest car. Powered by Fiat's stalwart chain-driven 903cc engine, it's simplicity itself to maintain and renowned for it ability to keep on going. And for a budget car, that's what many people wanted. Alas, the Tempo died in 1992 when civil war broke out in the former Yugoslavia and the Zastava production lines ground to a halt, making this very late car an incredibly rare survivor, and a seemingly very tidy one at that. So, what price exclusivity? Well, £650, or a near offer. As a piece of social as well as automotive history, it's an intriguing thing, and deserves to be enjoyed and preserved.